Some of our U3A members are volunteers with the HELP organisation. Below is a brief account of the work they do. For more details, visit the HELP website at http://www.helpofdenia.com. If you think you might like to join this friendly circle of willing volunteers, please talk to their local representative whose phone number is on the Teulada & Moraira page of the HELP website. Or contact any of our U3A members who are in HELP. HELP is a friendly group of volunteers who provide support in medical emergencies (including the loan of medical & nursing equipment), home care for the temporarily housebound (including visiting, shopping & cooking), cars with volunteer drivers for transporting patients to and from medical facilities, interpreters, and visiting residents in elderly persons' homes. 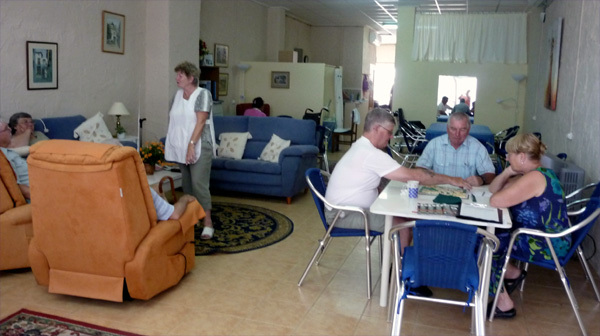 The residential home contains private rooms (single or shared), a day centre, hair dressing salon, restaurant, café, and lounge. 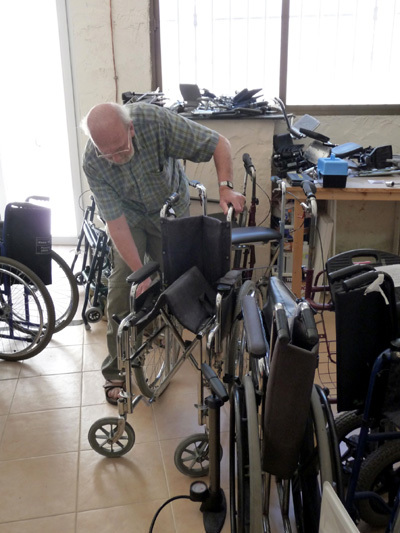 There is a physiotherapy service and a social worker on the premises. Residents can furnish their bedrooms with their own furniture and belongings if they wish. (The names of the residents have been blurred because of privacy issues) Reminiscence work in residential homes like this is very important. Although short term memory deteriorates with age ... tell me about it! ... with the exception of specific conditions like Alzheimer's, long term memory usually survives throughout our lives, and when residents recall their memories they benefit on more than one level. 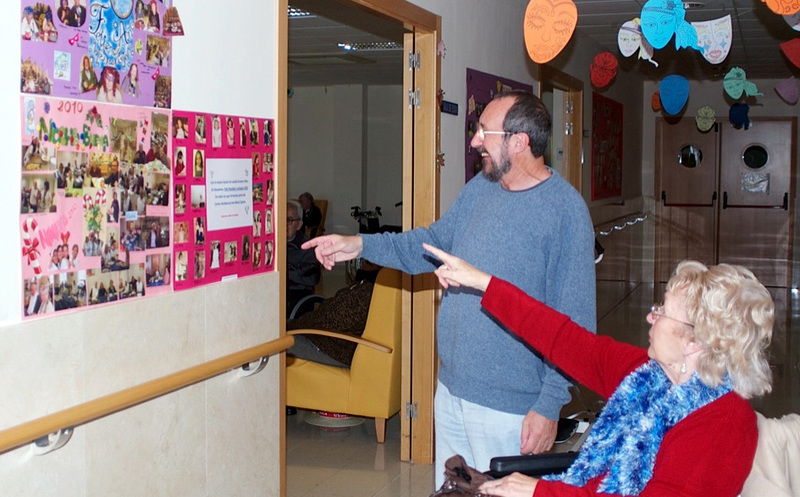 Throughout this residential home there are notice boards containing photographs from the residents' earlier lives and of events they have been involved in whilst living in the home. Day trips out are, obviously, very important and enjoyable experiences for the residents. 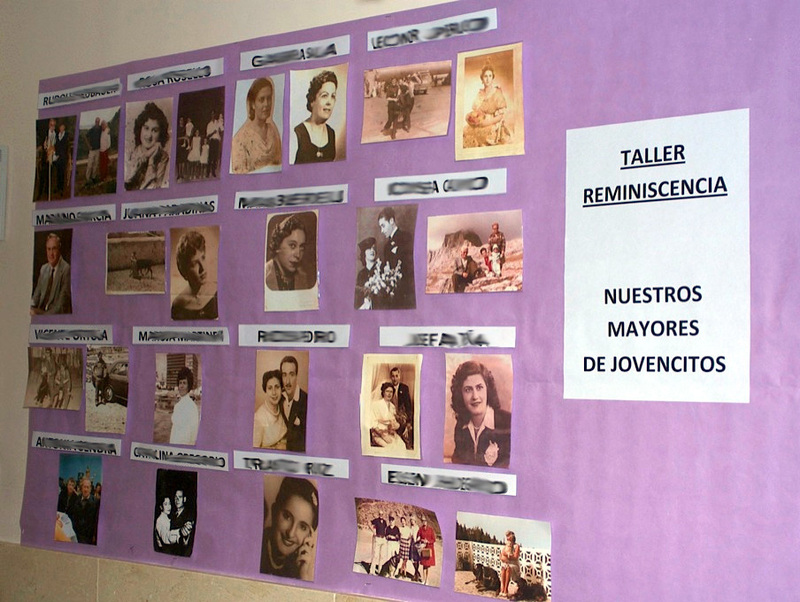 Some of the notice boards contain photographs and artwork of these trips. 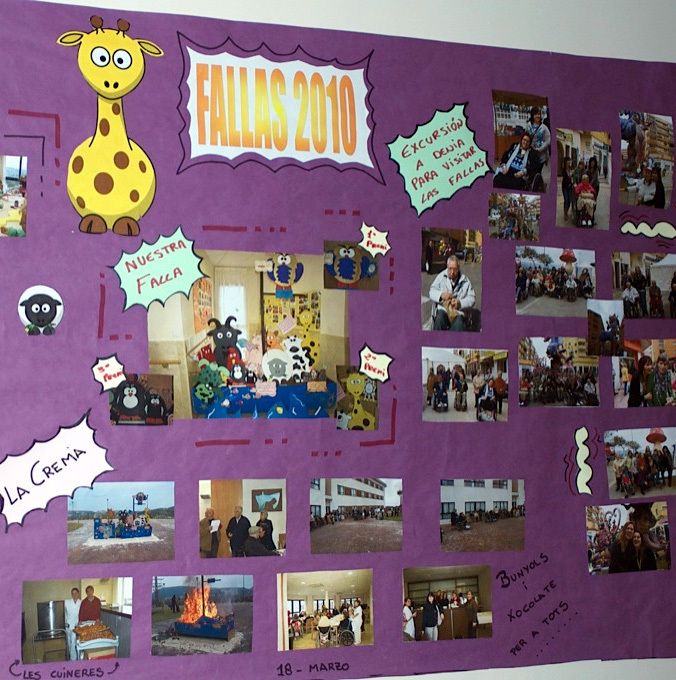 This display is a record of a trip out to the Fallas festival in Dénia. In 2009, a new law was introduced by the Madrid central government of José Luis Rodríguez Zapatero called the Ley Dependencia. Its purpose is to provide for heavily dependant people. 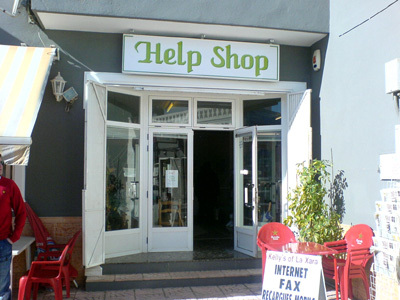 For example: in Teulada-Moraira, around €70,000 per year is spent on providing home help for people in need (of which approximately 30% is paid for by the regional government of Valencia). 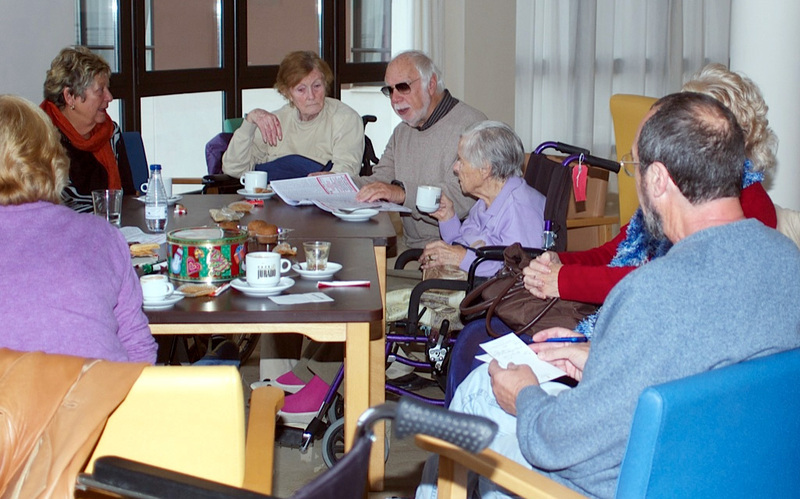 Applications for assistance under the Ley Dependencia is made to the Departamente de Servicios Sociales (Social Services Department) within the Teulada-Moraira ayuntamiento. The Social Services Dept. 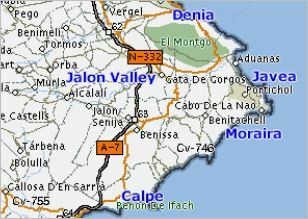 is 75% funded by the regional Valencian government and 25% by the ayuntamiento. Between what they and what the British Consulate do, there is a gap. This gap is filled by the voluntary organisations such as MABS and HELP.